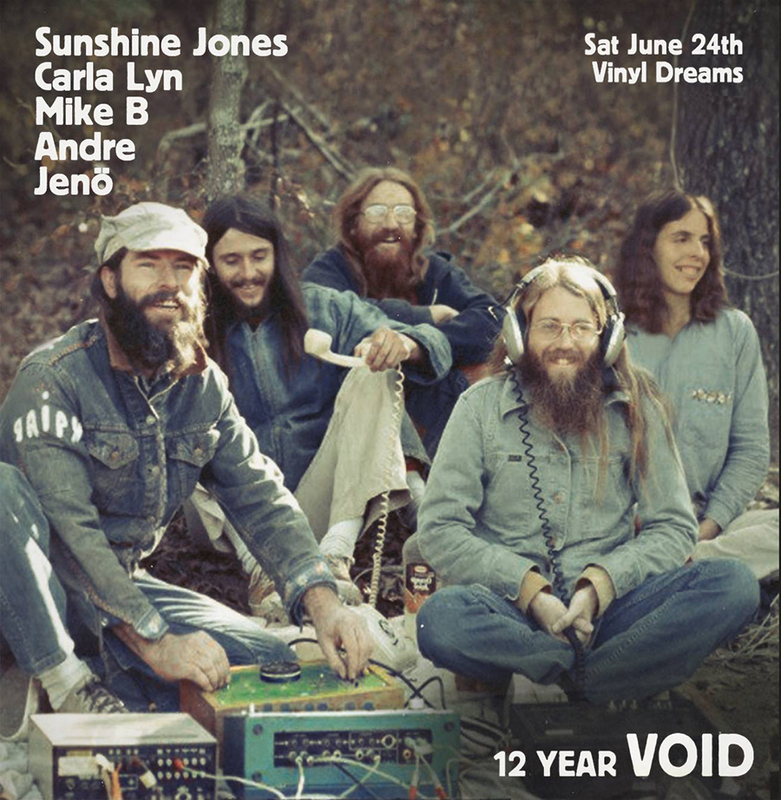 Saturday the 24th of June I’ll be heading down to celebrate 12 years of Noise From The Void with Jenö, Andre, Carla, and Mike. We’ll be gathering and getting it on at Vinyl Dreams in the lower haight in SF, and I also think that Jenö does some sort of inter-web broadcasting of the event, so if you’re not around you can peek in and see what’s cooking. But really, it’s better together, so if you can manage it, head to ‘Frisco and join us at the record shop and let’s get together. I’m not sure yet if I’m going to bring down some modular and experiment, or play some records or what exactly I’m going to do yet. I’ll figure it out and let you know, or you can just come down and be surprised. The VOID gets started in the afternoon around 1pm and go until 8:30 or so… Should be a blast.